Let it be nonverbal, spoken or written, communication is vastest domain of our life. Many of us think that any exchange with only others is communication but this is not true at all. We communicate with ourselves too and on both cognitive (related to perception, learning and reasoning) and emotive (related with emotions) terms. We communicate with ourselves too but as per situational demand only. We communicate with ourselves in different situations the same way we emphasize, reiterate, remind and draw focus of others at something or somebody by using hand gestures and through touching ourselves or others. Have you ever noticed yourself stroking or rubbing you chin when you're thinking deeply and trying to understand something complex? 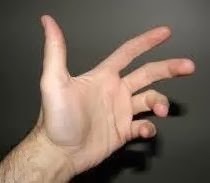 Have you ever tried to locate or find something without making any pointing or allocating gestures by your hands? If you try to refrain yourself from not making any hand gestures to remind, allocate, symbolize or illustrate something; you would experience that you're not able to perform many tasks more efficiently or quickly. So the question is - Why shouldn't we be able to emphasize, reiterate, remind and draw focus at without making hand gestures? Development of cognitive abilities and intelligence is strongly related with pattern recognition, spatial allocation and co-relation among different entities that we come across throughout our life. We get inputs through different senses but vision has greatest share - almost 90% in a visually fit person. Everything we capture through eyes is stored inside our brain (visual cortex) in form of blueprints, maps or something alike. Representation of complex ideas or illustrations is entirely based upon our visual memory. It means that we can explain something based upon what we've saw or observed till date. So what could be the purpose of hand gestures, touching or even some facial emblems during conversation? Pointing at something, mimicking to position or hold something in front of ourselves (by hand) and representing different things through hand gestures helps us to recall and also strengthen graphical memories related with entities. It's a kind of close loop communication we do with ourselves. Also, others can easily understand graphical representation over words so we share our memories with them. 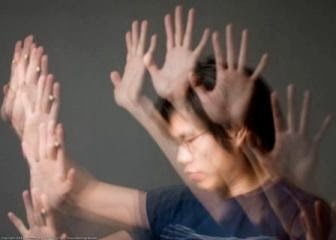 Spatial Gesturing: Sensing space around yourself. Labels: My findings, Neuro-science, Why we do?